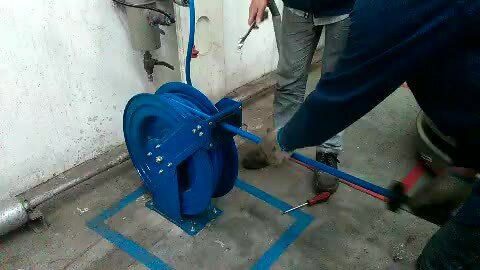 Retractable Hose reel, installing easily video from Shanghai Shirui Mechinical And Electrical Equipment Co., Ltd.
Shanghai Shirui Mechinical and Electrical Equipment Co., Ltd.
High quality hose reel, best using and easily installing. Many types hose reel using by air, water and oil in different pressure. Industrial and car care can not missing. more information of the products by browsing www.vrtiz.com or contact me. 00:13 Oil pump kit with dispensing nozzle Shanghai Shirui Mechinical and Electrical Equipment Co., Ltd.
00:49 Oil pump kit with dispensing nozzle Shanghai Shirui Mechinical and Electrical Equipment Co., Ltd.